My mission in The New Nigerian Kitchen has many dimensions. 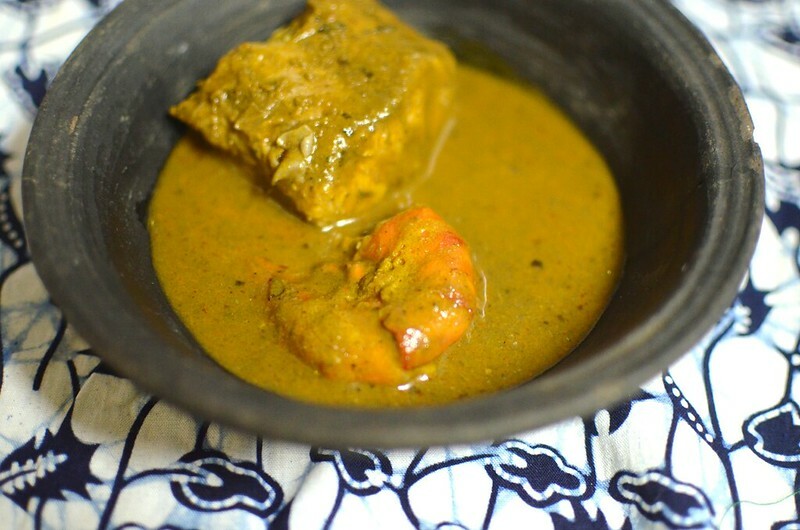 It encompasses the totality, the entirety of Nigerian cuisine – from language to preservation of culinary history and heritage, and everything in between. We have to put words to our food, understand them for that’s one of the key ways we’ll be able to explain to others what they are and what they mean. 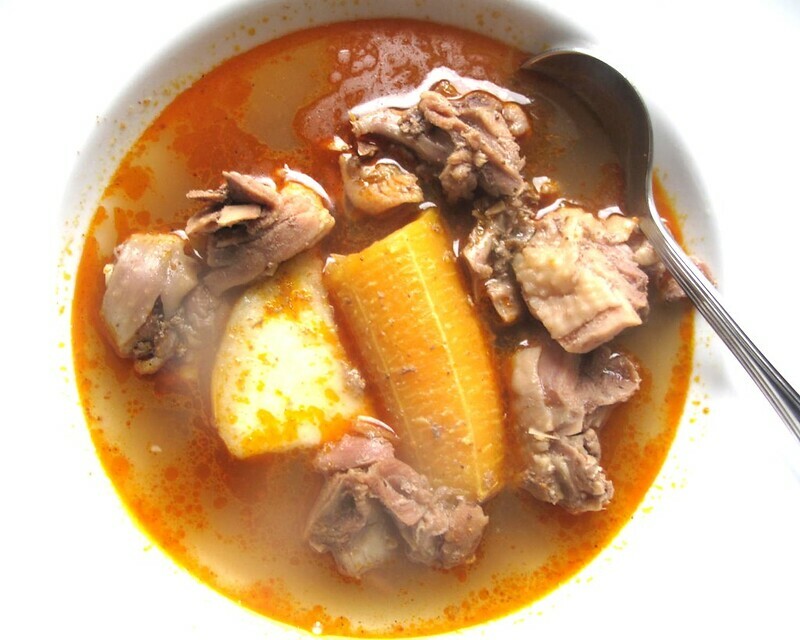 Like Nigerian pepper soup is chicken soup to the rest of the world, that healing, renewing broth that is Tom Yum in Thai cuisine and Pho in Vietnamese and Chicken soup in America and other parts. Knowledge and language is often the difference. Cuisines and foods around the world look different but in actual fact, many of the elements are similar in terms of flavours, textures and overall composition. Understanding the ‘common use’ names for various dishes can and will put Nigerian food on the world map. There, we will not struggle to describe a soup or stew. We will call it what it is, because we know! I find it interesting how language – traditional, English and others shape our descriptions of food. Take the use of ‘sweet’ in describing savoury dishes. The grammatical construct of Nigerian English is interesting. For the longest time, it didn’t occur to me that ‘sweet’ was a word for sweet dishes – desserts and the like because in Nigeria, any food considered delicious – sweet or savoury – has the potential to be ‘sweet’ best expressed in pidgin English. Like ‘Men, the soup sweet die’. The literal translation is ‘Men, this soup is delicious, this soup is really good, I really enjoyed this soup…this savoury ‘soup’ which in actual fact is a stew (and we’ll come to that). A lexicon is the vocabulary of a person, language, or branch of knowledge (such as nautical or medical). In linguistics, a lexicon is a language’s inventory of lexemes. The word “lexicon” derives from the Greek λεξικόν (lexicon), neuter of λεξικός (lexikos) meaning “of or for words”. I remember speaking with a friend – a non-Nigerian – about Egusi soup with white rice, about how ‘sweet’ it was…and all of a sudden realizing sweet wasn’t the word I wanted in English. Though I didn’t think delicious was sufficient, it seemed more suitable than my former choice. The construct of Nigerian English is interesting :). And very well suited to who we are and how we communicate. Understanding prompts a lot of other things, which I find really fascinating. 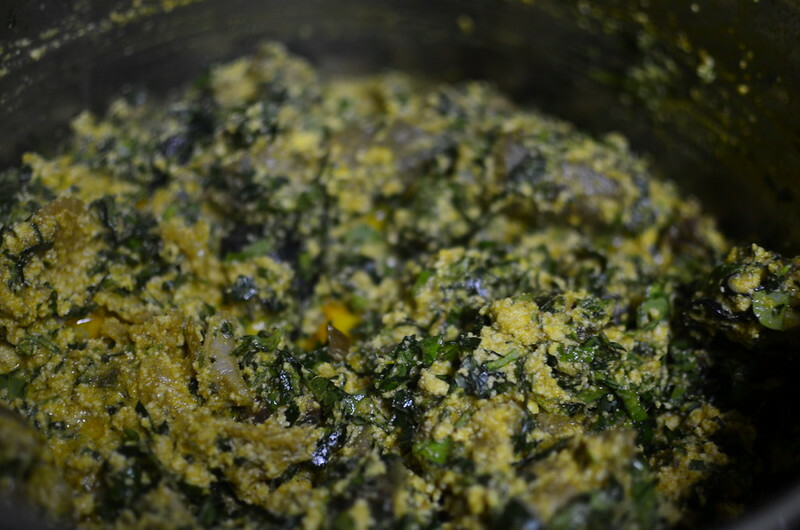 Like how what we refer to as soups in Nigeria – our Egusi, Okro, Ogbono, Banga and the like are actually stews. Soups, by general definition are liquid and for ‘drinking’, like our pepper soup which by the way isn’t always peppery. Spicy, yes. Peppery? Not always. The limits of language/ lexicon can lead to misleading representations. If I didn’t know of pepper soup, would I stop to ask what it was made of? Perhaps not. I imagine that I might avoid it altogether if I wasn’t into that kind of heat. I know too having cooked, feasted and lived on various cuisines that it is important to make a distinction between pepper and spice. One that capture the fullness of what spice is versus pepper. Pepper – an instance of flavour, mostly understood as one dimension characterized by heat – fiery heat and not much else. Spice – a plethora of flavours and fragrances, not just from one source but of many. Multi-dimensional in scents that could be floral, earthy, woody, nutty, of caramel and sometimes a touch of heat – that’s spice. Stews are defined as slow-cooked mixtures of meat and vegetables. Our soup is soup – pepper soup; but more importantly, our ‘soups’ are our stews – leafy vegetable ones, those thickened with seeds and nut and the like. In NE [Nigerian English] soup has a far broader semantic range than its BE [Bristish English] counterpart. While it is mainly eaten as an appetizer, at the beginning of a meal, or even taken just by itself, in both BE and SAE [South African English], in NE soup is generally used, as a side dish, to eat the main meal, especially the traditional foods from roots such as yam, cassava, cocoyam, etc. It is prepared from leafy vegetables mainly, and could be cooked with meat, fish or other sea foods. It is generally not eaten alone. This lexical item is a good example of semantic extension that is a common feature of both NE and other new Englishes vocabulary. …several lexical items loaned from the local flora. Many more of such loan words are commonly used in NE. And then, there is the added dimension of what we Nigerians know as ‘stew’ which is ALWAYS tomato-sauce based. Technically, it is a Tomato stew, the way a dish of Egusi soup should be Egusi stew though that sounds right only if I think of a red, tomato-based Egusi mix. There are some things we might never change because of entrenched use in language and lexicon but I think in writing, in communication that gets shared widely, we can express these differences so people understand how our food, how our dishes relate across the world. Language is interesting and Nigerian language, Nigerian food language is even more so. In the end, none of the descriptions, partly right or wholly wrong impair the deliciousness, the sweetness that is our cuisine. Long live Nigerian English and cuisine. May our soups remain forever sweet, may our knowledge expand, may we teach the world about who we are and what we put on the plate, Amen.